Are you looking to apply for a loan to solve your sudden financial problems in Moncton? A typical bank loan application process can last a few days or even weeks! 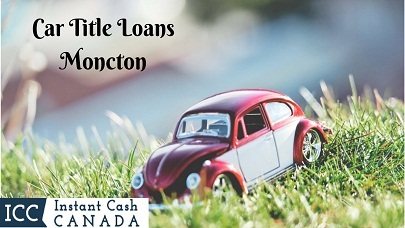 If you’re in a hurry to have your loan application approved, you may want to try applying for a Car Title Loans Moncton through Instant Cash Canada instead of a traditional bank loan. With Instant Cash Canada, you are guaranteed a quick loan approval along with low-interest rates, flexible payment plans, and a simple loan procedure. Borrow an amount up to $40,000 with vehicle title loans Moncton. The loan amount is determined by your vehicle’s year, make, model, mileage, value, and condition; not your credit. When you apply for our loan services there is no need to worry about losing your vehicle. You can keep your vehicle for the entire duration of the loan. The clear vehicle title is used as loan collateral in exchange for your needed cash. All you need is a fully owned car with a lien-free title, a valid Canadian driver’s license, and proof of permanent residence. Step 1. Contact Us or Apply Online. Step 2. Submit Supporting Documents. We have low-interest rates and offer convenient payment options. Our monthly payments are as low as $97. Our loan terms are longer and up to 4 years. There are also no early payment penalties or extra application charges. Call Us (Toll-Free) 1-866-840-7395 For More Details!